I think it's no secret to say that most of the projectiles in MKD (MKDA as well) are useless. While a 3D engine might not be suitable for that kind of attacks, I still think it could work. <br/> <br/>One idea would be to make projectiles unblockable, giving you less options to avoid it. Also, maybe make some (or all) of them track. <br/> <br/>If 1 or both of these rules were applied, Subzero freeze move would not be a joke like it is. I mean, it's slow, you can block it.... or you can duck... or you can sidestep... pretty useless IMO. 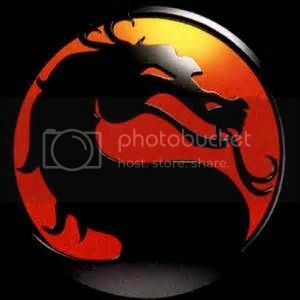 <br/> <br/>In Mk7, there should be more projectiles that hits low, like the one liu kang has. Also, I think most projectiles should do very little damage.. as their main purpose is to close up a fight or take away that last chunk of life. <br/> <br/>Any thought about this? I think it's no secret to say that most of the projectiles in MKD (MKDA as well) are useless. While a 3D engine might not be suitable for that kind of attacks, I still think it could work. One idea would be to make projectiles unblockable, giving you less options to avoid it. Also, maybe make some (or all) of them track. If 1 or both of these rules were applied, Subzero freeze move would not be a joke like it is. I mean, it's slow, you can block it.... or you can duck... or you can sidestep... pretty useless IMO. In Mk7, there should be more projectiles that hits low, like the one liu kang has. Also, I think most projectiles should do very little damage.. as their main purpose is to close up a fight or take away that last chunk of life. I don't think projectiles are useless when I connect with them 80% of the time, online and off. Now MK2...THAT was useless projectiles. The computer ALWAYS blocked them. <br/>The only projectiles I would like to see are the ones that give a free hit, or like you said moves like Kang fire ball should take little damage. I think that Deception has too many special moves, which too me took away from the fighting experance.If MK7 special moves are so powerful like in Deception , there would be no point in fighting hand to hand.Again to me special moves in futire MK should be limited by 2 special moves per character and no darrius ground pound like special moves. MK: DA lack of special moves to me made it a better fighting game than Deception, because of the more and to hand to hand fighting. The only projectiles I would like to see are the ones that give a free hit, or like you said moves like Kang fire ball should take little damage. I think that Deception has too many special moves, which too me took away from the fighting experance.If MK7 special moves are so powerful like in Deception , there would be no point in fighting hand to hand.Again to me special moves in futire MK should be limited by 2 special moves per character and no darrius ground pound like special moves. MK: DA lack of special moves to me made it a better fighting game than Deception, because of the more and to hand to hand fighting. Projectiles seem to be so useless in MKDA and MKD. Only a few of this special moves actually work and are great to use. Im not sure if you can consider Sonyas Kiss a projectile, but that special move is one of the best to use. Others like fire balls are so easy to avoid. Something should be done about it.